GenCon 2011 starts tomorrow. Yep, we're going to get our geek on this weekend. Costumes will even be worn. 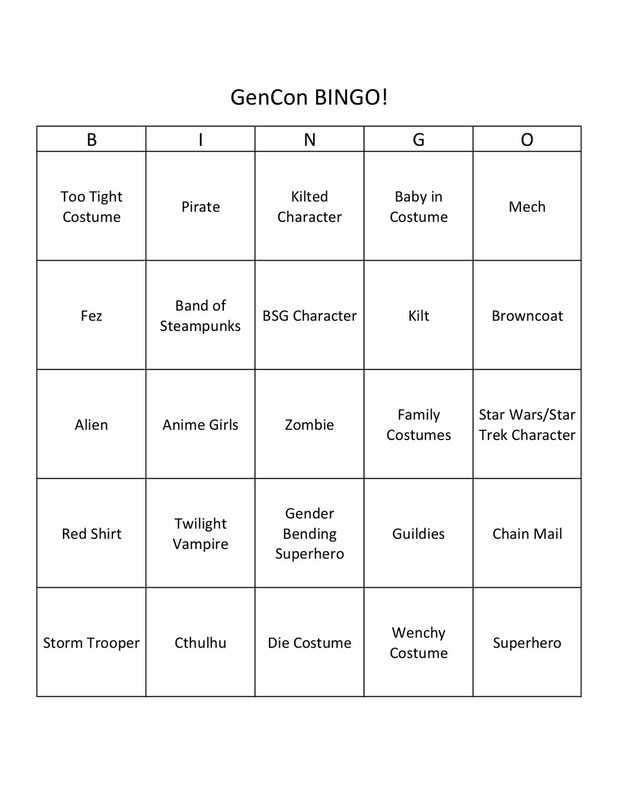 There will be loads of fun people watching, which brings me to GenCon BINGO! I saw a card posted for ComicCon and thought it was a great idea. 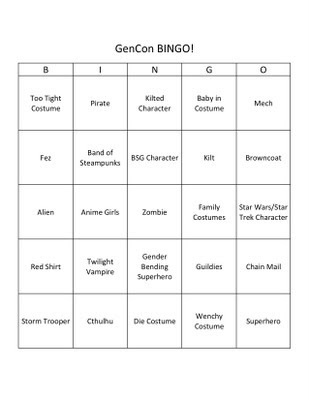 I don't know how well my card will do or how many spaces I will fill (I plan to keep playing even if I get a traditional BINGO), but it should add to the fun.